Welcome to the personal website of Michael John Treloar Rowse, better known as Mike Rowse (and occasionally as “Mickey Mouse”). 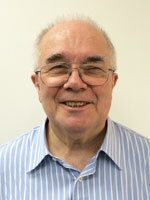 Mike has lived in Hong Kong since 1972 and naturalised as a Chinese National in 2001. This website includes a full Bio, a picture gallery of some episodes in his life, the first chapter of his best-selling book “No Minister, and No, Minister – the true story of HarbourFest” and links to the companies that sell it. It includes the original version (pre-editing) of all the opinion columns he has written for broadcast or publication, and lists his present business contacts. There is also a personal diary section. All this work is handled by his personal company, Treloar Enterprises. Mike also has an interest in two other companies.